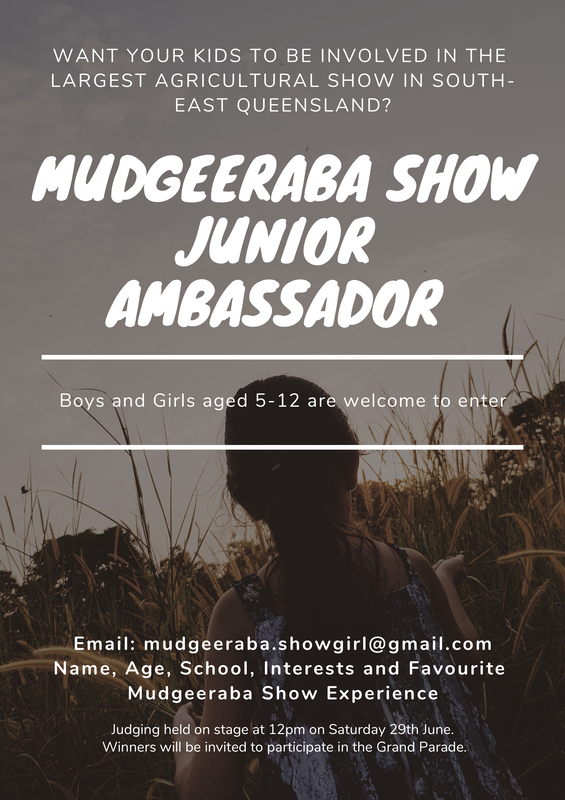 A loved historical favourite of the Mudgeeraba Show is back again, the 2019 Mudgeeraba Junior Ambassadors! Open to Boys and Girls in two categories from 5-8 and 9-12, we want you up on the Main Stage at 12 pm on the Saturday 29th June. Entrants will be sashed and asked questions about their hobbies and interests plus their favourite Mudgeeraba Show Experience. Winners will receive a great prize and the opportunity to be apart of the Grand Parade.